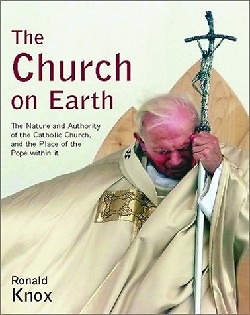 The nature of the Church and the authority of the pope explained. With clarity and verve, Msgr. Ronald Knox shows that the Catholic Church is not just an assembly of Christians, but is directly the handiwork of God, deliberately designed by Him as a hierarchical institution headed by the Pope.